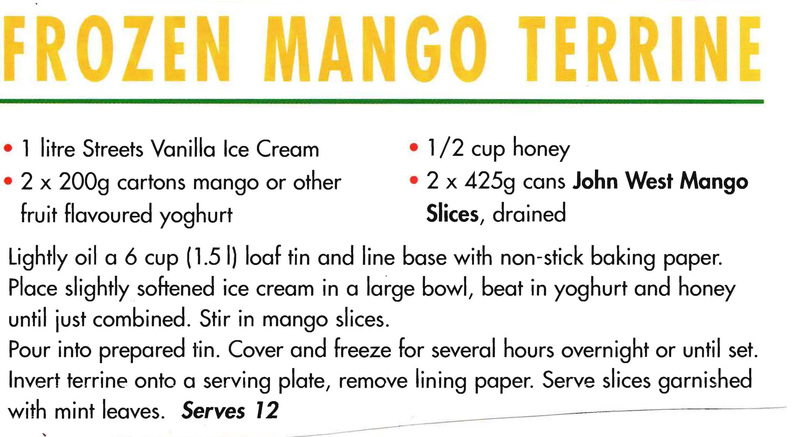 Although this recipe uses tinned mangoes, I can’t see why you couldn’t use nice fresh ones instead – in fact I think it might make it even better. I don’t know if you want to serve this as a dessert or just eat it yourself. 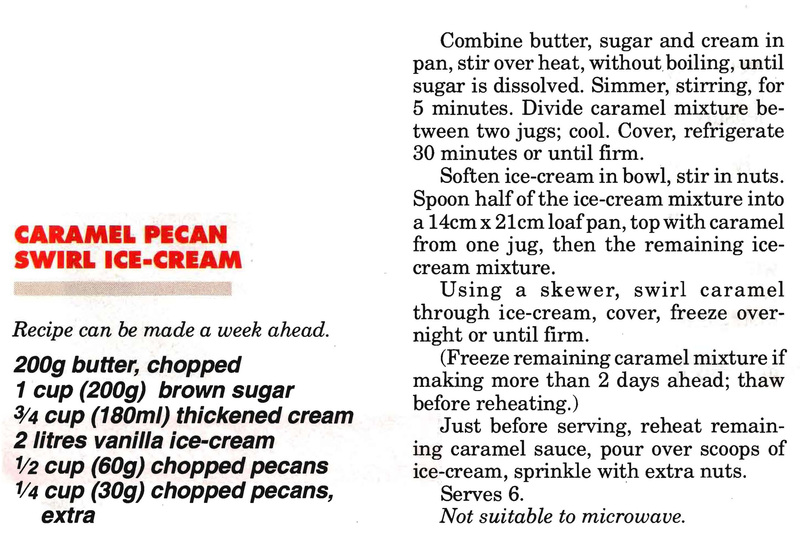 It can be made up to a week ahead and the caramel sauce frozen until you want it. Ymmmmmmmm. Already wondering what you’re going to do with the leftover Christmas pudding or Christmas cake? This could be worth trying. Might even be alternative on the day itself. If you add the green coloring I think this could be a great St Patrick’s Day dessert!!!! 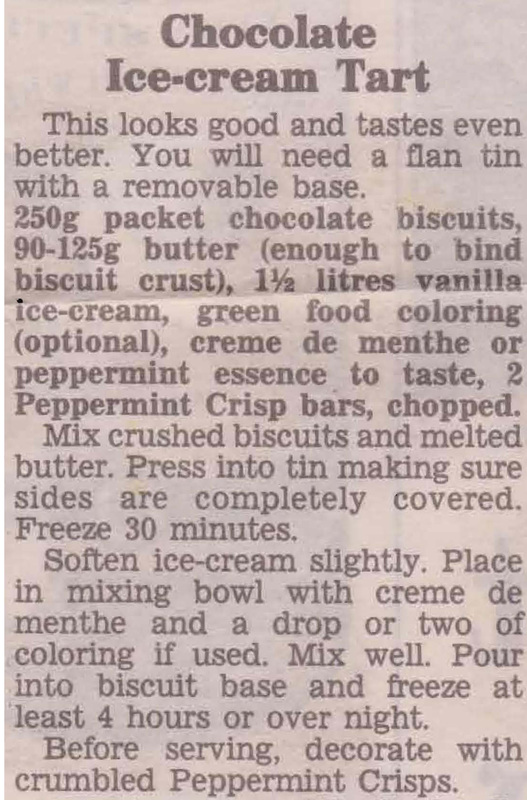 The peppermint flavouring mixed into the ice cream should be good, but personally I think I’d leave the green out, but that’s entirely up to you. As my granddaughters will tell you, I love licorice. They very kindly add extra to any lolly bags they’re making for me and even give me some from their own, such lovely girls……….. 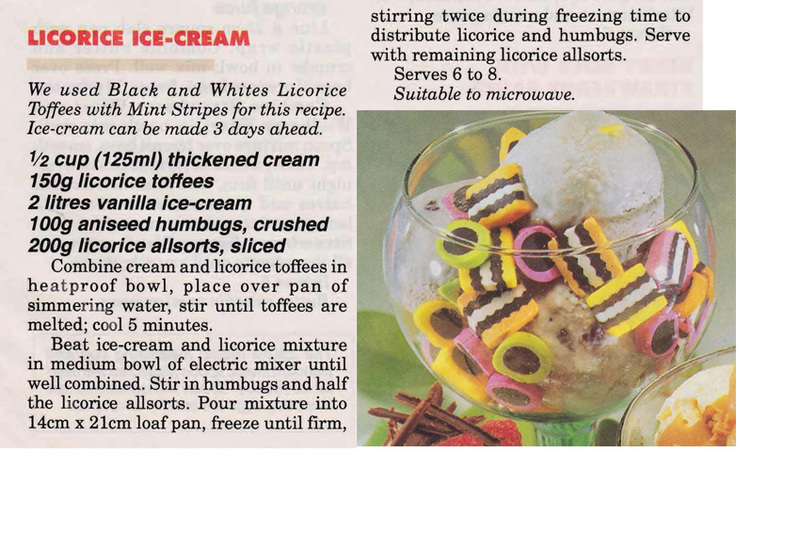 So when I saw this Licorice Ice Cream recipe I couldn’t resist sharing it, although I think, like me, you’d need to love licorice. 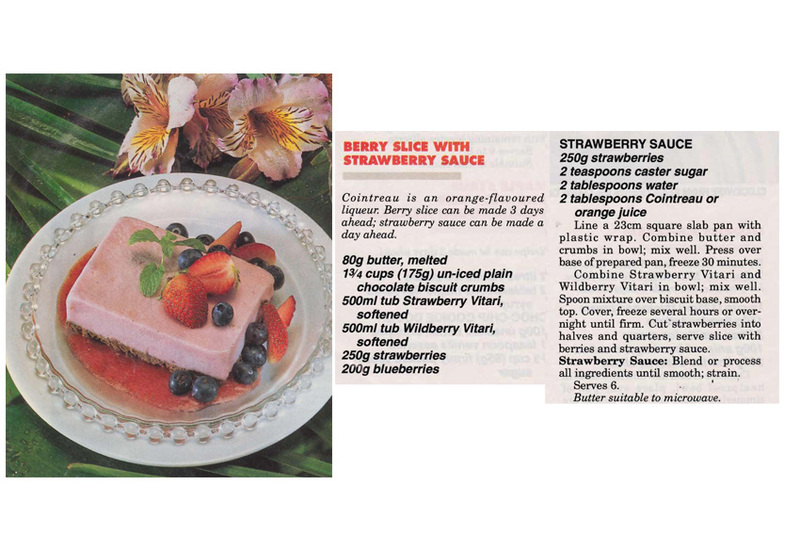 I almost didn’t post this recipe because Vitari is no longer made by Nestle. I changed my mind though on googling it and deciding you could use Weis Sorbet instead or at a push a good ice cream. It looks so tasty in the picture I thought it was worth doing. 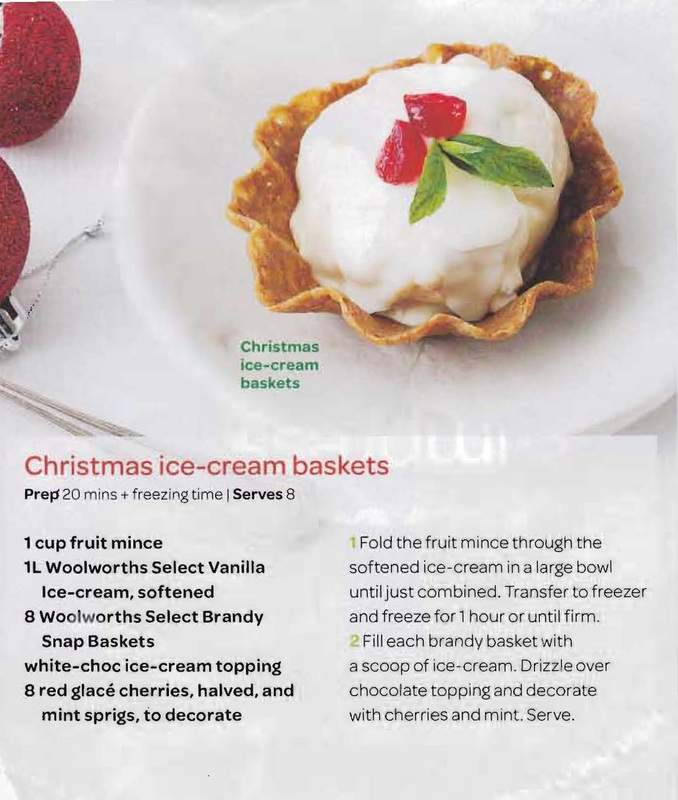 The combination of a crisp, crunchy brandy snap basket, fruit mince and ice cream makes this a winner. 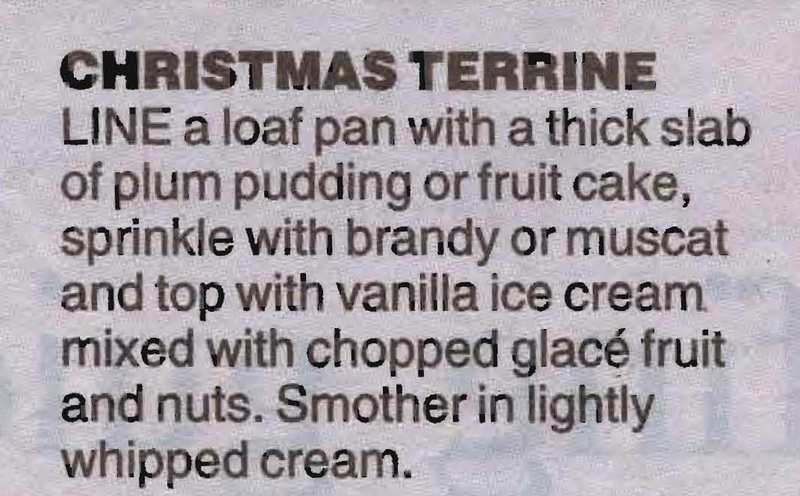 Especially as you buy the ingredients and just assemble it – a nice and easy Christmas treat.